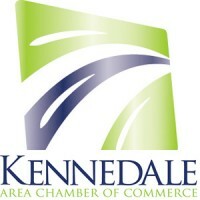 Kennedale Area Chamber of Commerce hosts a number of events throughout the year designed to help you build relationships with your fellow business leaders as well as members of the community. We’ve got something to fit any personality type or busy schedule, and look forward to seeing you at as many events as possible! Held the first Tuesday of each month, BAH is a fun and relaxed social event. The location rotates each month to a new host, who provides refreshments and a casual activity; anything from Boot Camp to BBQ! It’s the perfect opportunity to meet new faces in a more intimate, low-key environment. It’s also a great way to showcase your business, let us know if you’d like more information on hosting our next BAH! We know you’re busy, and fitting in another lunch meeting can be asking just too much! But we know you need your daily dose of caffeine, so why not swing by and enjoy your first cup with us! No need to RSVP or pay any fees, just show up and chat for as long as you can spare, you never know what kind of prospect—or friends—you’ll get out of it! Held the second Thursday of each month at KACC offices, 205 W Kennedale Parkway, 8-9:30am. The monthly KACC networking luncheon is our most popular event, having hosted everything from stand-up comics to elected officials (insert joke here) and is a fantastic opportunity to meet not only other businesses, but a wide range of community leaders. The Networking Luncheon is held on the third Wednesday of every month at Life Fellowship Church, 611 N Little School Road from 11:30-1pm with a new speaker and sponsor each month. Tickets are $10 or may be included with your membership, depending on the level chosen. For members looking for more than networking, our Lunch & Learn series is an invaluable service! Rotating topics include social media marketing, tax help, and more, based on your feedback. RSVP for each event individually depending on what will benefit your business the most, and let us feed your mind (as well as your body, with a catered lunch included in the ticket!) L&L is held at varying intervals throughout the year at the KACC offices in Kennedale Town Square and is limited to the first 12 reservations, so keep an eye on our newsletters and social media for news on upcoming events! Tee up for a great cause! The annual golf tournament is our biggest fundraiser of the year, and the best way to spend a day in the sunshine, networking and enjoying a great game of golf! Sponsorship levels include donations for our gift bags to the $3000 Hole-in-One contest, and will feature lots of exposure for your company in the pre-event promotions, as well as at the event. Bring your favorite customers and support the Chamber too! Our newest fundraiser, the Clay Shoot is a uniquely Texas experience! The Clay Shoot offers you a truly out of the box event perfect for spoiling your best customers, or any friends and family who enjoy the sport. This is a perfect way to get your brand in front of a specific customer subset, and such a fun way to do it! Sponsorship levels range from $400-$1500, which includes supporting a team to title sponsor.